GCI Communication Corp. selects EIRTEIC to enable service assurance transformation. Eirteic Consulting Leads Integration That Retires and Replaces Legacy Tools to Enhance Network Functionality and Operational Efficiencies. GCI Communication Corp. (“GCI”) has selected Eirteic to implement a new service assurance platform which will enable GCI to retire multiple legacy tools, such as IBM Netcool, SolarWinds & Cacti. This partnership will allow GCI to enhance productivity and agility, while significantly improving operating efficiencies leading to improved customer experience. Eirteic is a specialist enabler and software integrator that thrives upon delivering major change and tangible results. Through this partnership, GCI will retire it legacy tools for Fault and Performance Management functionality. 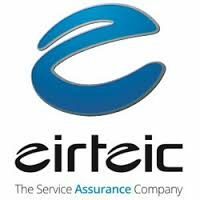 Eirteic will deploy a new platform, Assure1, to deliver a better operational experience and enable end-to-end unified service, performance and fault management across legacy and dynamic virtualized domains. Eirteic are an ‘Enabler’. Our Customers are Digital Service Providers and we enable them to thrive in a fast-changing world. We enable them to Improve their customer experience, manage their growth and control costs. We do this for customers all over the world, delivering major change with tangible results. How do we do that? We have years of experience and fabulous project skills but, more than that, we focus on delivering real results at pace, making our projects fun, exciting and different. Our goal is summed up in three words Unify, Simplify, Enable. GCI is the largest communications provider in Alaska, providing data, wireless, video, voice, and managed services to consumer and business customers throughout the nation. Headquartered in Alaska, GCI has delivered services for nearly 40 years to some of the most remote communities and in some of the most challenging conditions in North America. Learn more about GCI at www.gci.com.